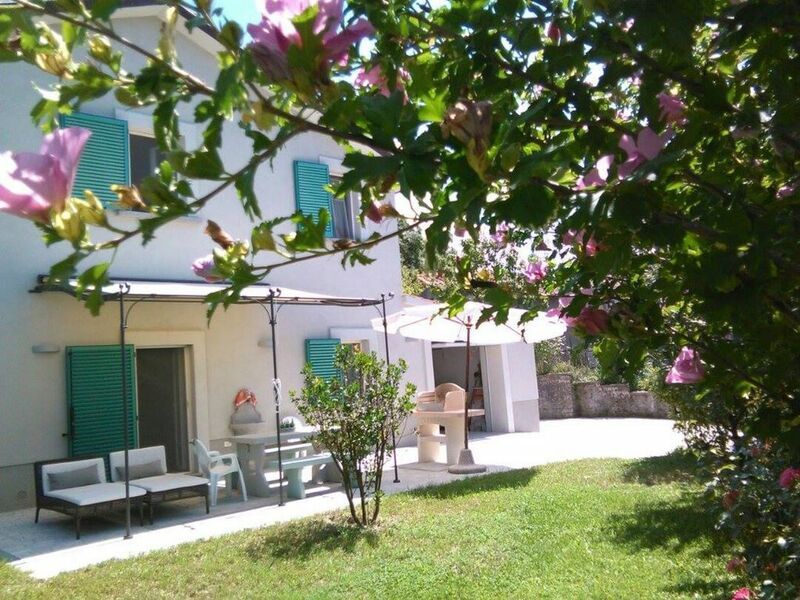 detached house on all four sides, with large garden and barbecue area. On two floors: ground floor large living room with fireplace, kitchen with a dining table for four people and a bathroom with shower; on the first floor two double bedrooms, dressing room and bathroom with large shower. Recently renovated with particular taste, fully equipped and very comfortable. Outside area with sunbeds and pergola. Parking inside the house.